I can’t think of a better way to experience a unique coastal landscape of crashing waves, tide pools, rock formations, old growth forest, birds, and wildlife than to meander along a beach for a week and soak it all in. 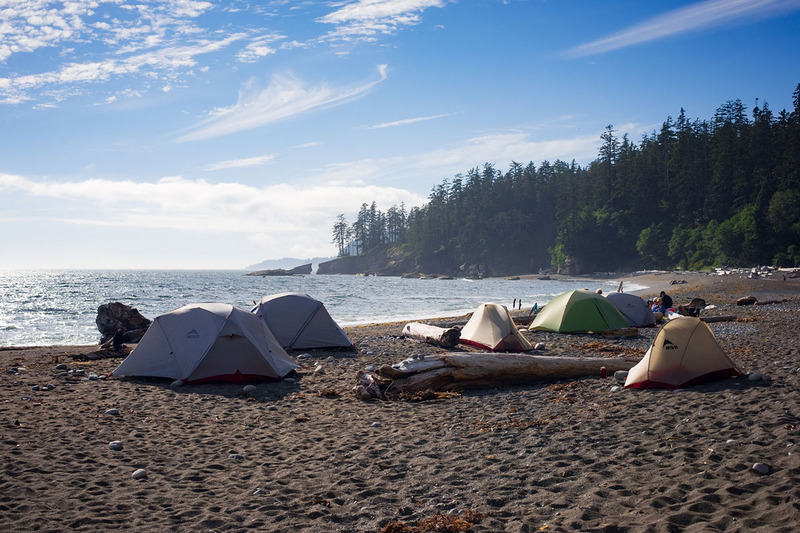 And I can’t think of a better beach to meander than the 75-kilometer West Coast Trail on Vancouver Island. Famous for its ruggedness, hundreds of man-made ladders and bridges, lush rainforests, and beautiful beach campsites, the West Coast Trail offers an experience as rich as the island’s flora and fauna itself. 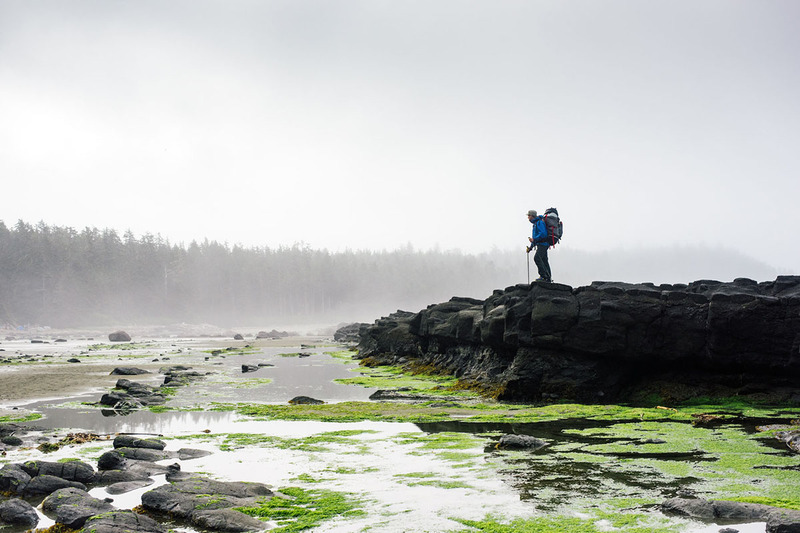 It’s an epic walk into the history of the Pacific Coast and Vancouver Island. Relaxing on a bar stool in Port Angeles, Washington, I’m about to order a drink after wrapping up a slideshow presentation about Olympic National Park. Across from me is an older gentleman, still lean and fit, surely heralding from an outdoor life like my own. He works his way over with a pint and we begin to talk. 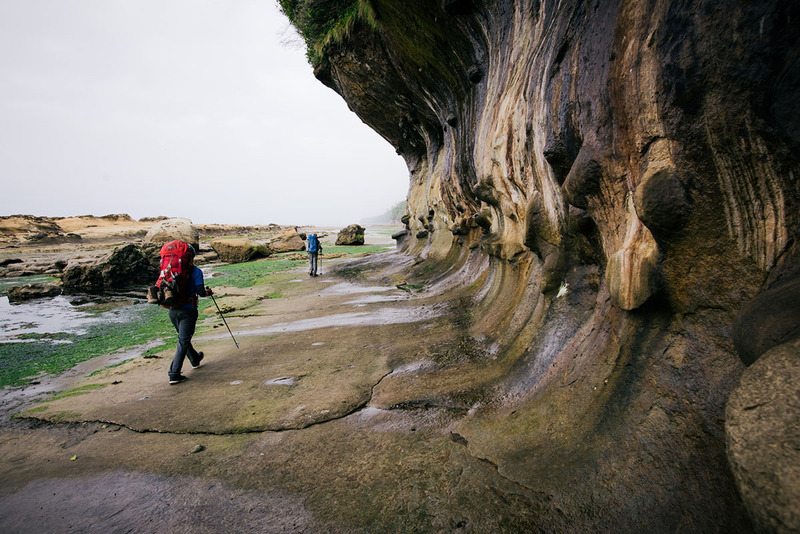 “You know,” he says conspiringly, with weather worn hands cradling his half-full glass, “There’s an even better beach hike than the Olympic Coast.” During my slideshow I’d boasted of a trail on Washington’s coast, declaring it the best around. “I will,” I assure him, and we raise drinks to cement the promise. 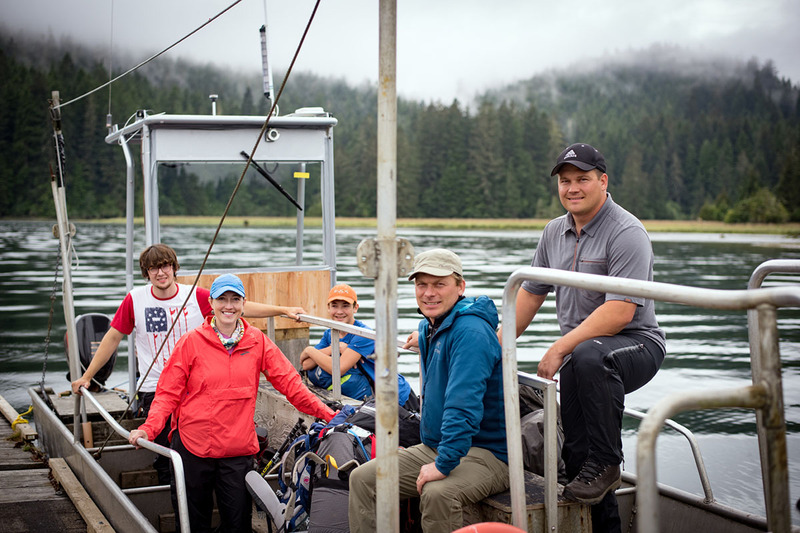 Nearly a decade passes before a river boat unloads my three brothers, nephew, brother’s wife, and myself on the far side of Gordon River just north of Port Renfrew: the southern portal to the West Coast Trail. The weeklong family vacation ahead of us is an annual tradition carried down since childhood, back to a time when our parents stuffed us brothers into the back of a 1980s Ford van with shag carpeted walls and set off to the national parks of the American West. 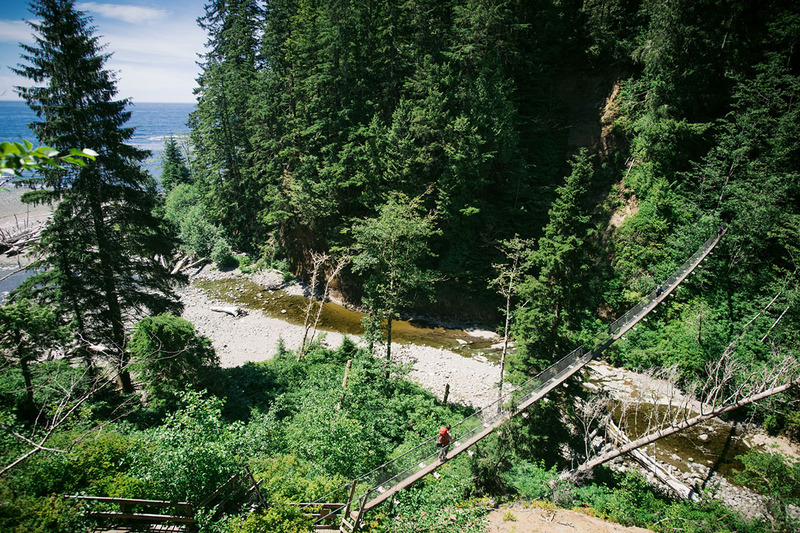 Canada’s Pacific Coast is now our new frontier. 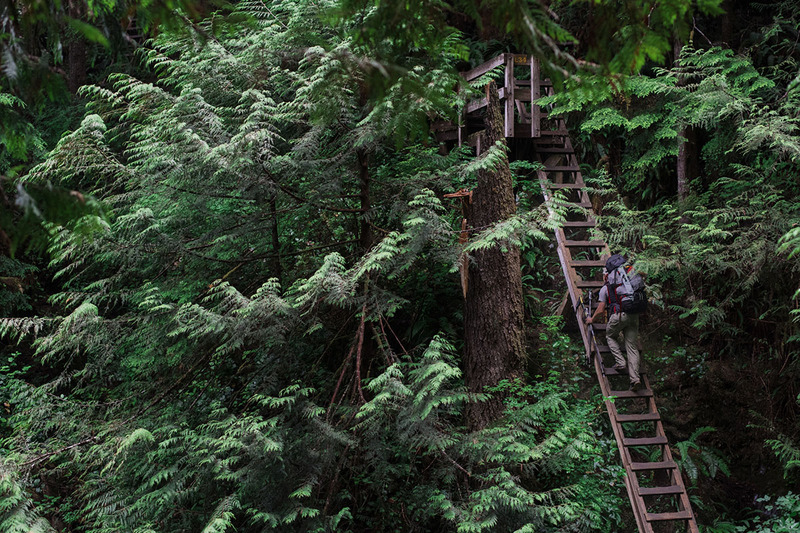 Thirty feet from the mouth of the Gordon River is our first ladder, climbing more than fifty feet straight into the rainforest. It is an introduction to the incredible man-made structures found throughout the trail, features unlike any I’ve witnessed elsewhere. 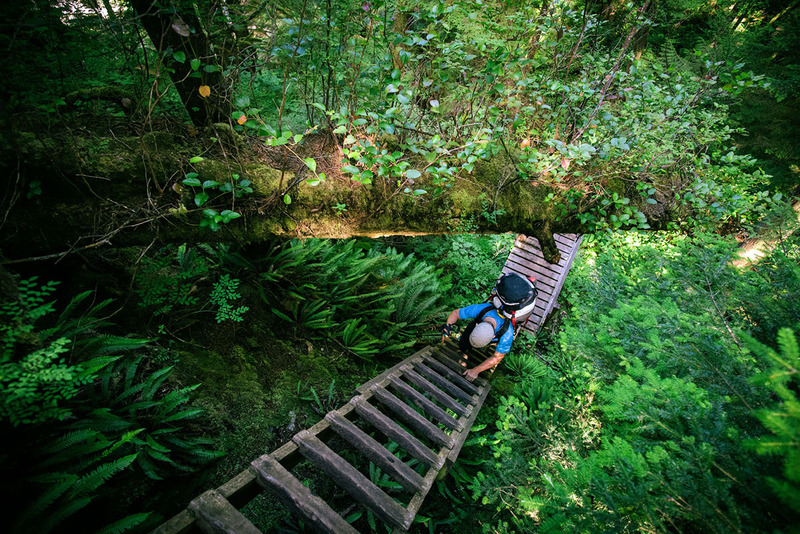 All told, more than a hundred ladders, another hundred bridges, and miles of boardwalk thread through the forested sections of trail, which make up roughly half the hike. The remainder is beach. Whenever possible, I prefer to hike on the beach rather than in the forest. Every tide pool holds mysteries, each unturned stone a treasure, and every grain of sand a story. I’m endlessly fascinated by the ever-changing nature of the coastline, the renewed beauty and life brought by each outgoing tide. I am reminded of backcountry skiing and how I feel when breaking track across newly fallen snow. But the forest here has its own charm. It stands full of ancient trees that dominate the sky, obscuring the blue expanse with countless branches. In fact, the tallest tree in Canada stands near Carmanah, a short hike from the West Coast Trail—the 314-foot Sitka Spruce is over 400 years old. This tree and others are reminders of past giants that once rose high overhead, sadly all taken by the destructive hand of logging. Our first camp is pitched at Camper’s Bay, one of a dozen designated campgrounds spaced every five to ten kilometers along the beach. Camping is allowed in most places along the trail, but the most spectacular locations already have sites established with accessible water and pit toilets. Of them, our group’s consensus favorite is Tsusiat Falls. Here, an overgrown rock face provides a backdrop for the ocean shore, with sand stretching away from the base of the cliffs for nearly 200 feet. Nestled between beach and waterfall is a freshwater pool, constantly refreshed by the 50-foot cascade. With a warm fire on the beach waiting, we can’t help but indulge in a dip in this swimming hole that rivals the world’s best. Wildlife adds a third dimension to our hike, beyond the towering forests and secluded beaches. Our best encounter is with a baby black bear, perched on a log mere feet from us. He’s not the only bear we see either; we have three more sightings throughout the reminder of the journey. We also spot minks, sturgeon, deer, multiple seal colonies, eagles, and herons. Of the less-alive variety, we see an oddly fascinating and massive whale carcass and the remains of a giant octopus. 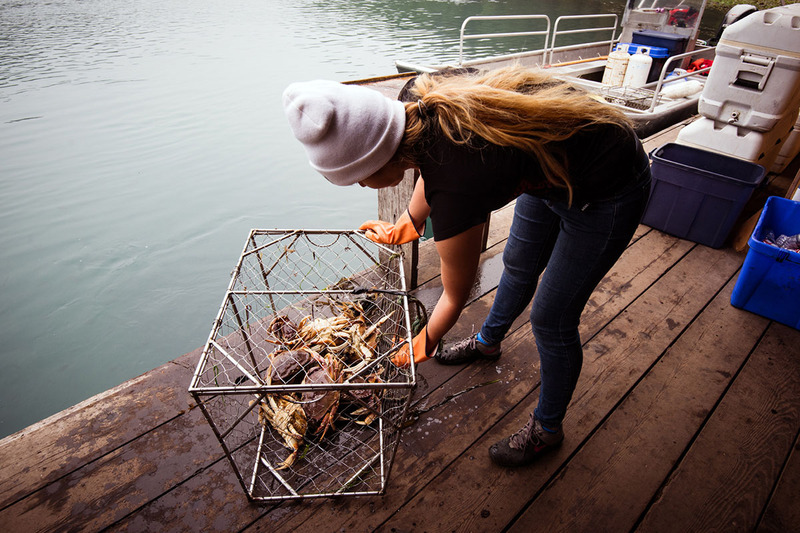 The West Coast Trail experience wouldn’t be complete without the much-anticipated hamburger and crab shacks at two beachside locations along the trail. The crab shack is at Nitinat Narrows (32.5 km), and the hamburger shack at Carmanah Lighthouse (44 km) (Nitinat Crabshack takes only cash, while the burger joint near Carmanah Lighthouse takes debit/credit, so plan accordingly). While some might look at restaurants along a backcountry trail with abhorrence, in my opinion these local establishments only add to the endlessly unique feel of the West Coast Trail. While hiking the final miles of the trail seven days after our group set out, we pass fresh hikers just beginning their weeklong journey. As I step aside into the ferns lining the path to allow them to pass, I ponder how much of a treat these hikers are in for, though I am also well aware of the challenge the trail will be for the faint of heart. 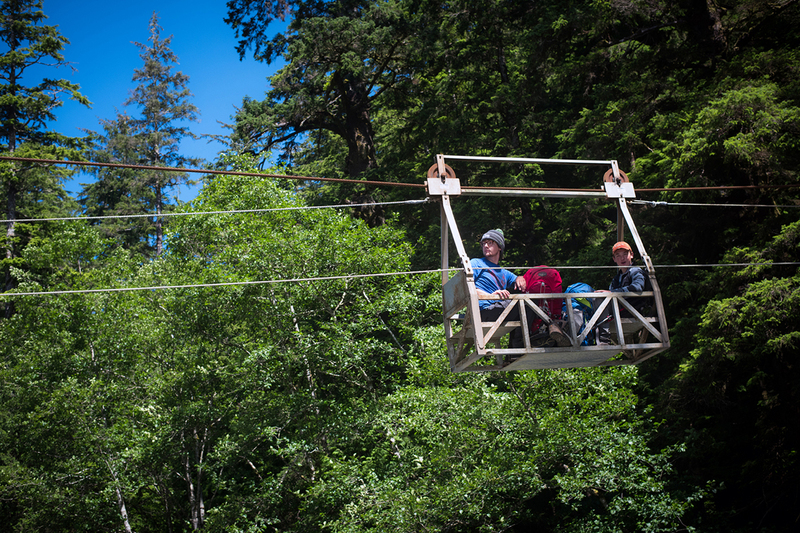 For those prepared, however, it will be an experience unlike any other, and certainly the thing to do should your dart ever land on Vancouver Island. Sitting off the west coast of British Columbia, Vancouver Island was long inhabited by aboriginal Canadians before being discovered and given the name “Quadra and Vancouver Island” in the early 1790s. Throughout the years, the last name of Juan Francisco de la Bodega y Quadra was dropped (though later used in the naming of another nearby island), leaving the oblong ocean-locked parcel with its current name, Vancouver Island. Not long after George Vancouver’s exploratory voyage, ships from Europe began to flock to Vancouver Island, bringing settlers and goods. However, the storms of the Pacific wrecked havoc on these vessels: throughout the next hundred and fifty years, more than 70 ships sank off the western shores of Vancouver Island. The open waters of this coast are so treacherous, in fact, that the area became known as The Graveyard of the Pacific. To this day, remnants of these shipwrecks litter the west coast of the island—old hulls, engines, anchors, and scattered detritus of vessels displaying names such as Michigan, Woodside, Janet Cowan, Sarah, and Uncle John—proving just how savage the ocean waters can be. One particular wreck became the catalyst for the birth of the West Coast Trail—the demise of a ship known as the Valencia. The 1,600 ton, 253-foot vessel sank in 1906, succumbing to the sea with more than 170 people on board. For the 37 survivors, escape to civilization was along the uncultivated wilderness shores of the island, a journey through coastal rain forest that proved difficult for the bedraggled sailors. In the end, survivors braved surge channels, impassable headlands, and torrential rains, finally discovering and following a telegraph line through the thick forest to a lineman’s cabin. In response to the plight of the Valencia survivors, the Canadian government constructed the Dominion Lifesaving Trail through the wilderness, linking structures and communities with a path and providing safe passage for stranded sailors throughout the coming decades. Along this safety route, shelters were built containing telegraphs with instructions in multiple languages, rations, blankets, and trail directions; a lighthouse also was constructed at Pachena Point and the Bamfield Lifeboat Station was established. Eventually, however, technological advances made shipwrecks less common and communication more accessible, and the trail dropped into obscurity. 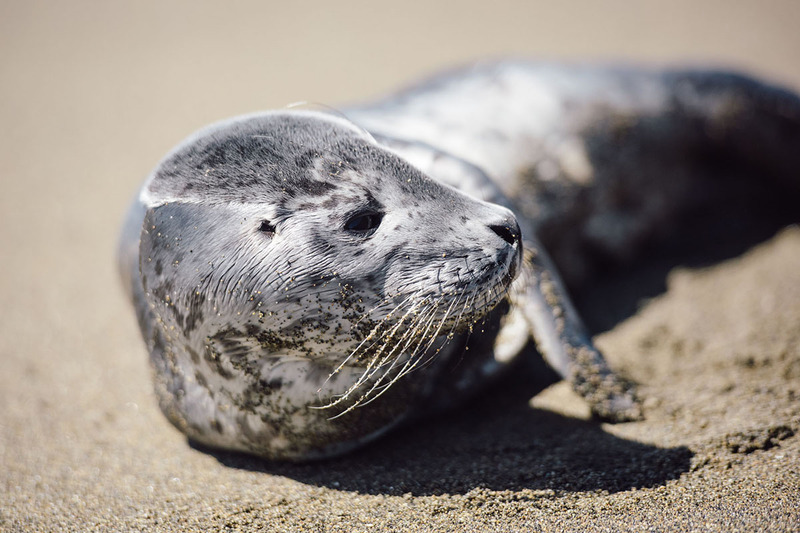 In 1970, Pacific Rim National Park Preserve was created, a 197 square mile park containing the Dominion Lifesaving Trail and nearby beaches and islands, designed to preserve the wild coastline and the unique historic passageway. The old pathway became the main attraction of the park, and was later renamed the West Coast Trail. 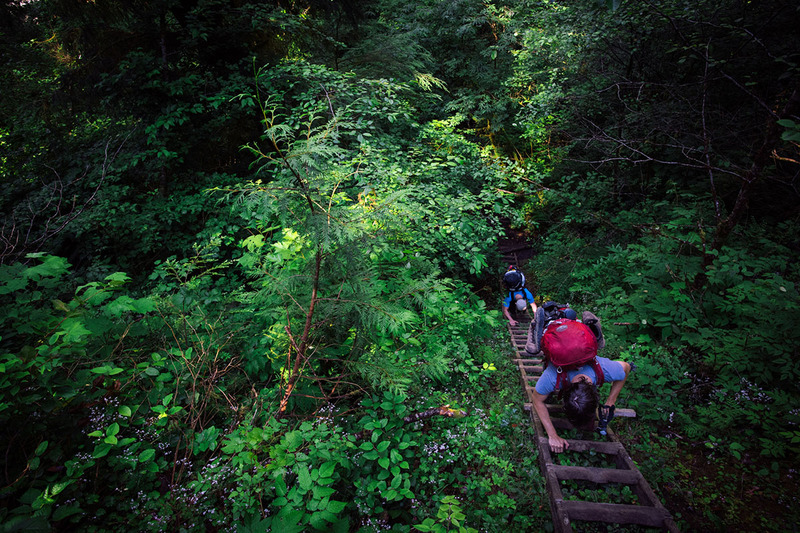 The first step in hiking the West Coast Trail is getting to Vancouver Island in British Columbia. This can be done via ferry (from the USA and Canada), seaplane, or airline. Once you arrive, there are a few different options to get to one of the two trailheads—it’s possible to start at either end. 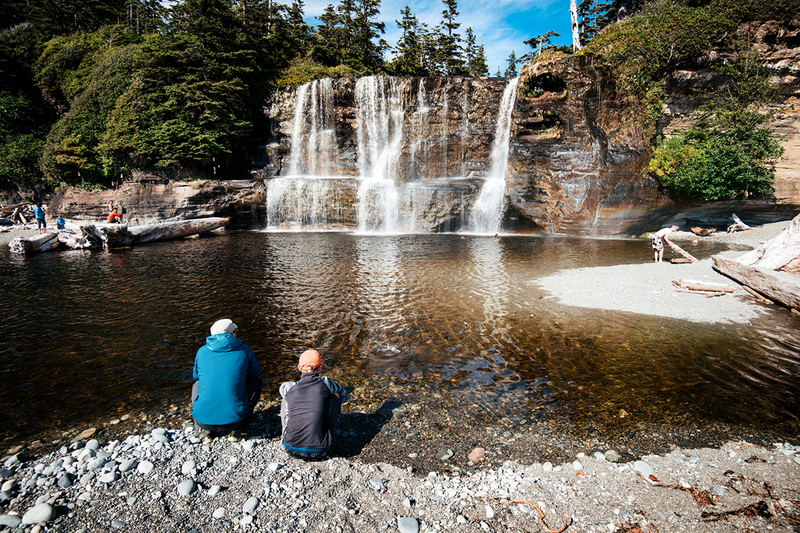 If you have two vehicles, shuttle one car to Pachena Bay and another to Port Renfrew. 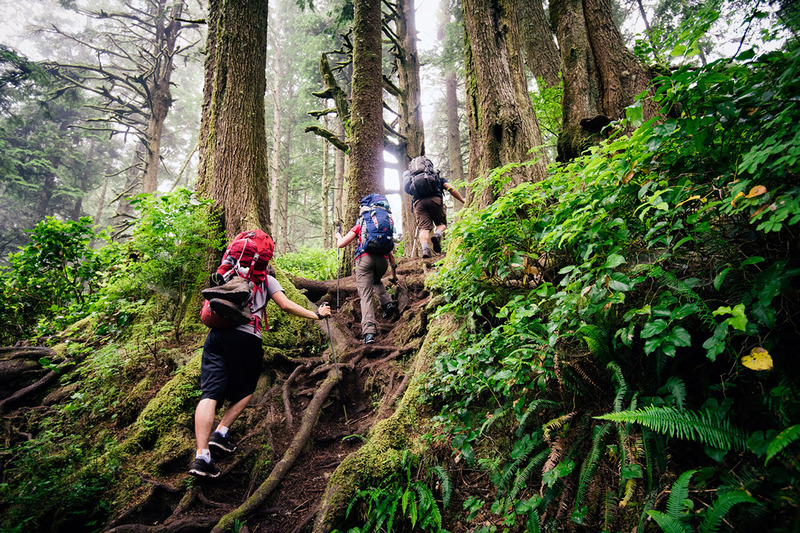 Or better yet, take the shuttle bus and enjoy a six-hour ride with fellow hikers. A trail map of the West Coast Trail is an invaluable tool and only available at Pacific Rim National Park ranger stations. Get one. If you would like more information than what this map provides, further history and details can be found in the regularly updated guidebook, Blisters and Bliss. A less detailed but helpful map can be found here as well. Around a hundred people start the West Coast Trail daily during the busy months of July to August, adding up to over 6,000 hikers per year. Permits must be obtained in advance (see more information below). The trail is closed October through April and no services are provided during this time. At $184 Canadian per person, fees for hiking the West Coast Trail are the most expensive in Canada, and the most expensive I’ve ever paid to access a trail. They include costs of ferry crossings and other fees, but nevertheless, this is a pricey outing when considering you are camping in the wilderness. 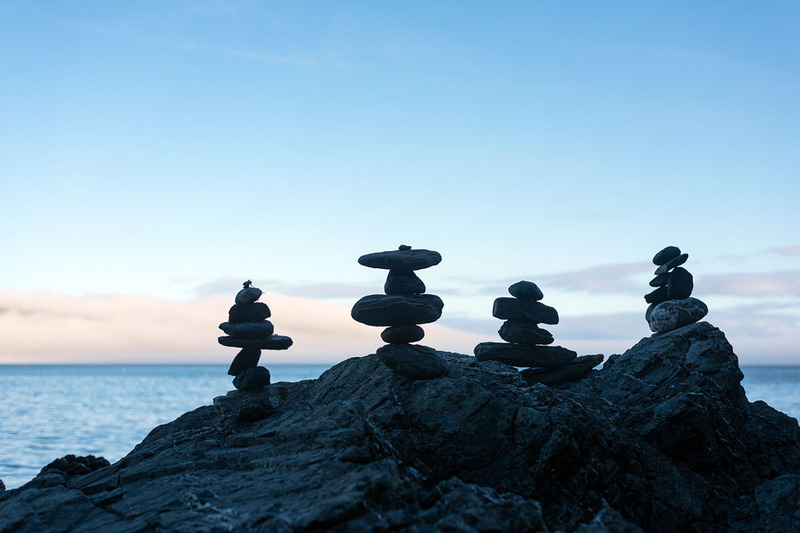 However, hiking the West Coast Trail is still nothing compared to costs associated with a vacation destination such as Hawaii, so perhaps it’s all a matter of perspective. Reservations open around the beginning of January each year. Spots are prized and getting permits is not easy, so plan ahead. Spots do open up later in the spring and summer—keep an eye on the reservation system for hikers who have dropped out. You can hike north to south or south to north. Either direction works, but it should be noted that the northern section is much easier than the southern section. An orientation is required and is available at the park’s ranger stations. Optional ‘comfort’ camping (a luxurious tent with a bed) is now offered in a few locations. The West Coast Trail travels through numerous native reservations. Please do not wander off trail, and be respectful to those who have occupied this land much longer than us. 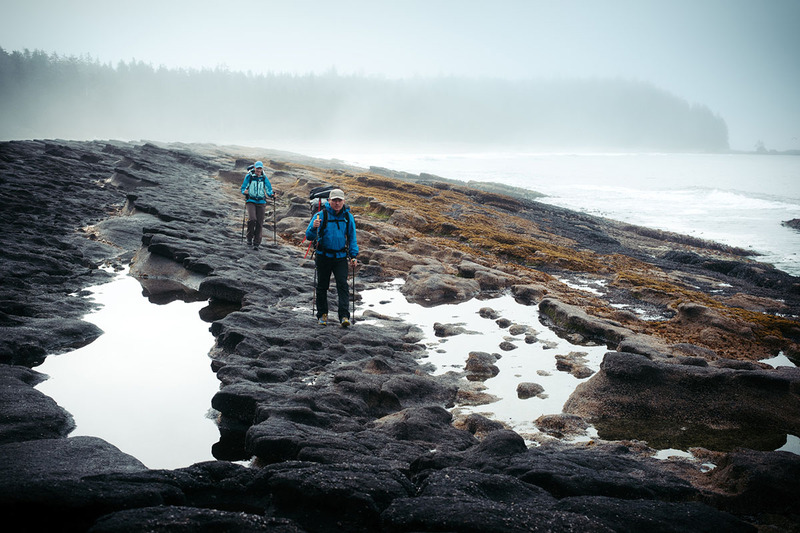 Approximately 1 in every 100 people who attempt the West Coast Trail are removed by rescue professionals, and even more fail to complete the journey. 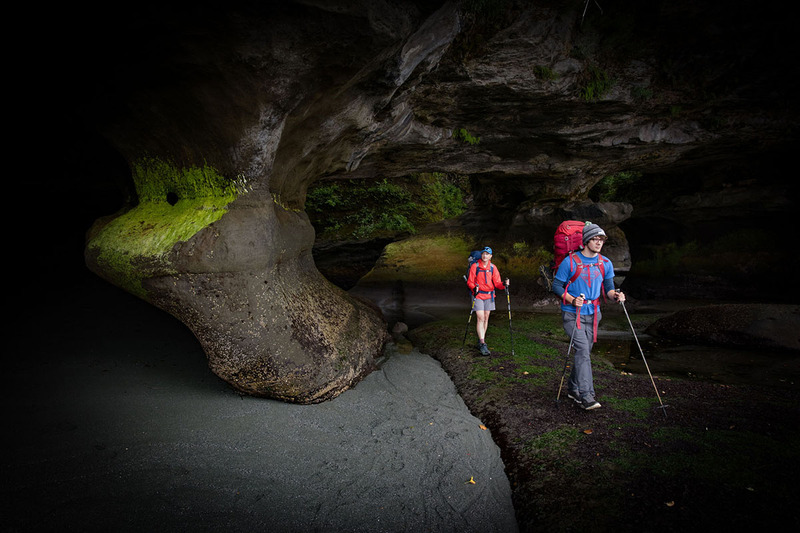 The primary culprits are slippery rocks, wet roots, muddy logs, poor fitness, lack of experience, poor gear choices, and too heavy of packs. Fortunately, rescue is free. Another option for escape is the ferry at Nitinat Narrows, roughly the halfway point of the trail. For a nominal fee, you can be ferried back to civilization. Many hikers who plan to do the entire hike often end their journey here. It should be noted that similar to canyon hikes, beach hikes are slow going. Progress is half of what you get on a standard trail when every step sinks a few inches into the sand. Additionally, hikers must be aware of timing their beach hikes around the ocean’s ebbs and flows—a few obstacles exist on the beach that must be tackled at low tide. While difficult, the most important aspect of a successful West Coast Trail experience is to be in shape and take your time. 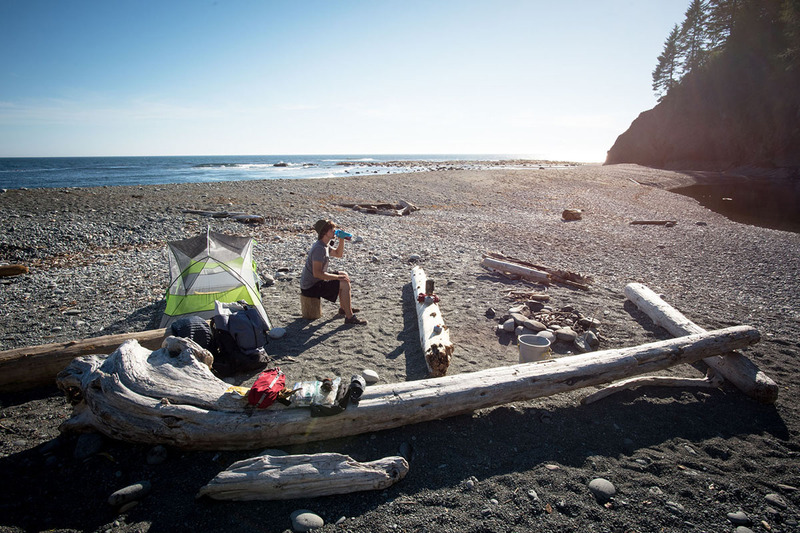 Each day is not a race to camp, but rather a portion of the coastline to appreciate and explore. 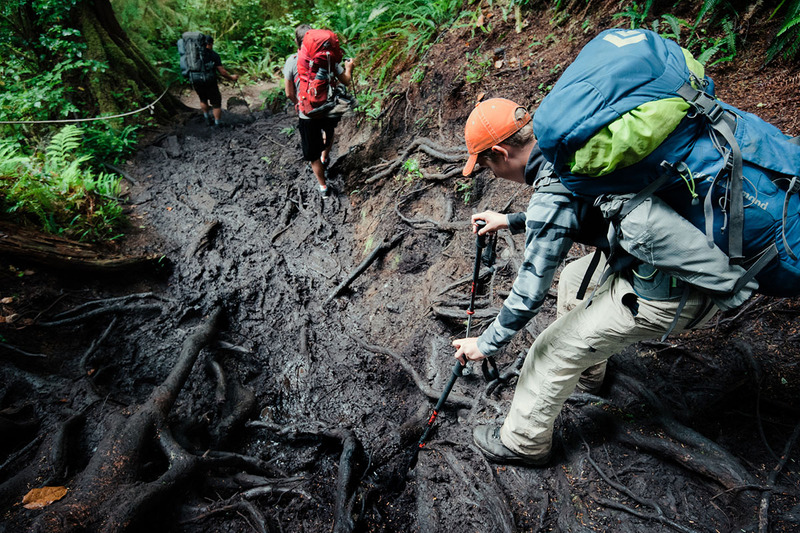 The West Coast Trail is notoriously wet and muddy, even during the summer. Make sure to pack a good rain jacket, and given that you'll likely be wearing it while hiking, breathability is important. Don't forget waterproof hiking boots, and we recommend going with merino wool hiking socks to help keep your feet comfortable and dry. In terms of sleeping, a lightweight 3-season tent should do the trick. Lastly, given the 75-kilometer length of the trail, you'll want a comfortable backpack with a built-in rain cover, or you can buy one separately. Some people like to add a trash bag as an internal pack liner for extra protection from the elements. 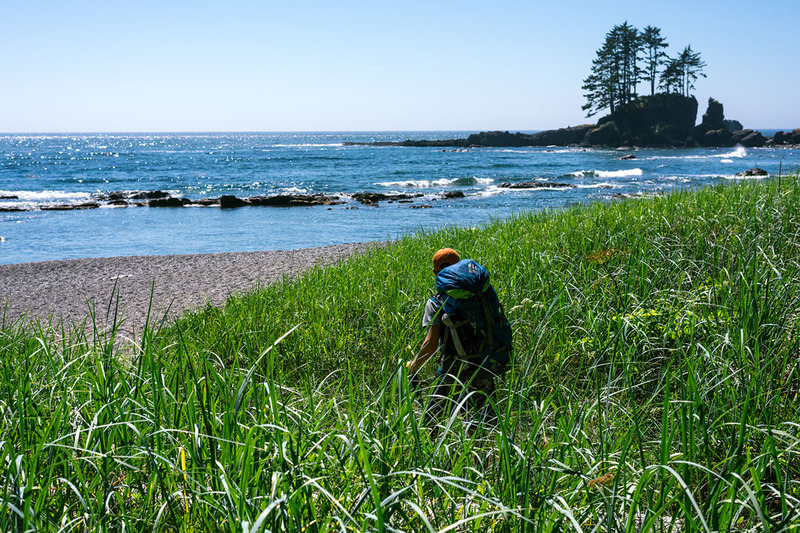 The 75 kilometers West Coast Trail on Vancouver Island is heralded among the best beach hikes in the world. It isn’t exactly a secret at this point, but that shouldn’t dissuade you. My advice: add it to your bucket list. Like me, maybe a decade will pass before you visit. But please, promise me—just as I did the stranger in the bar—that you’ll take the journey one day. There’s no regretting your pledge to visit the varied landscape and uncompromising beauty witnessed on this unbelievable path, the humble beginnings of which have morphed from a way back to civilization into a way for people to escape it—and to experience the wilder side of the West Coast of Vancouver Island. Jason Hummel is a leading adventure photographer, author, and backcountry skier based in Washington. You can follow his work at www.alpinestateofmind.com.